So, your LARP crew is just strolling through the Caverns of Eternal Darkness and a giant cave troll comes crashing through a wall. Somebody needs to tank that bad boy, while the rogue in your crew sneakily maneuvers to his unguarded backside, (you know, to get some flanking action in). You might not be able to quite see the awesome maneuvers from the rogue, but they are epic, no doubt. At least they will be when he finally strikes. But, what happens when the troll decides that you are the perfect target (undoubtedly as you have started to tank him)? Do you have a way to deflect his attacks? No? Well, now you do. 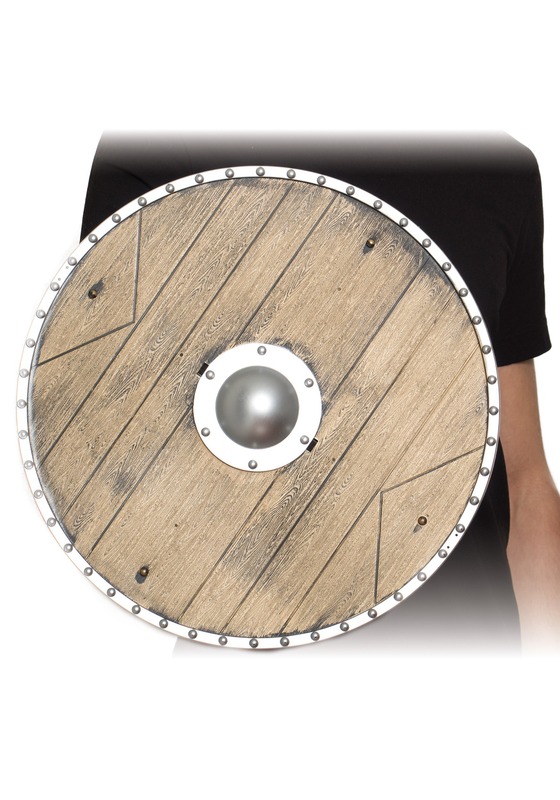 This Replica Wood Shield can stop a swipe of his massive ax from taking your head off. Then when he is fully focused on you, the rogue will be able to perform his epic attack. Just don't forget that there is always a psych out death. That troll will get up one more time.